Since the beginning of the 1980’s, Alex. 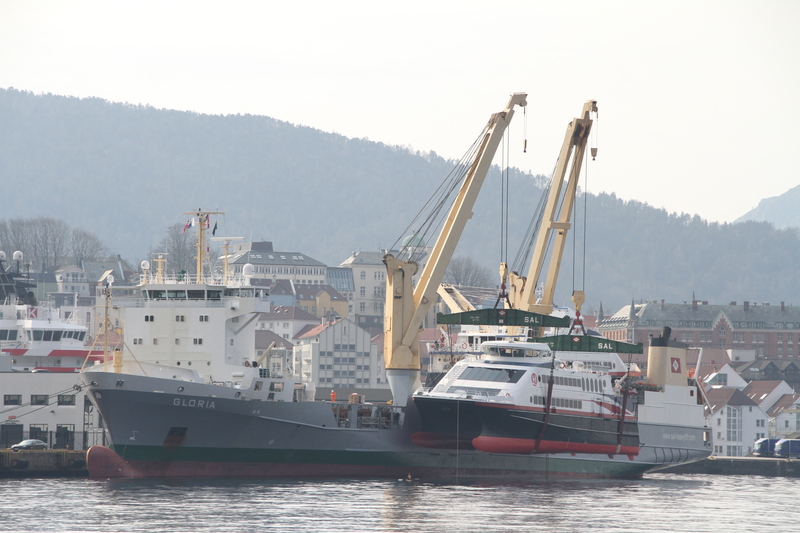 Birger Grieg A/S has concludet cargo fixtures of about 120-130 Catamarans build in Norway, but sold as second hand CAT’s after serving the Norwegian waters. 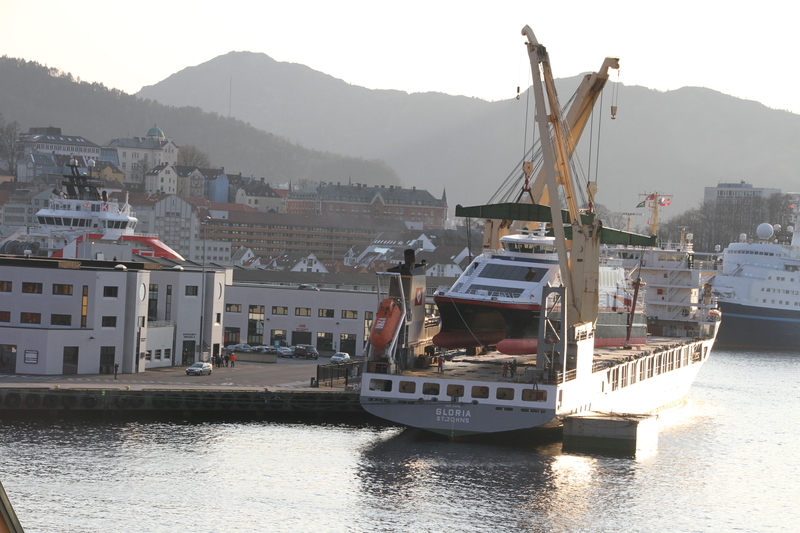 These CAT’s have been well maintained, and are able to run for many years to come. 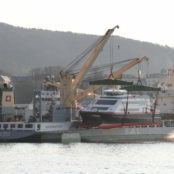 In March 2014, Alex. 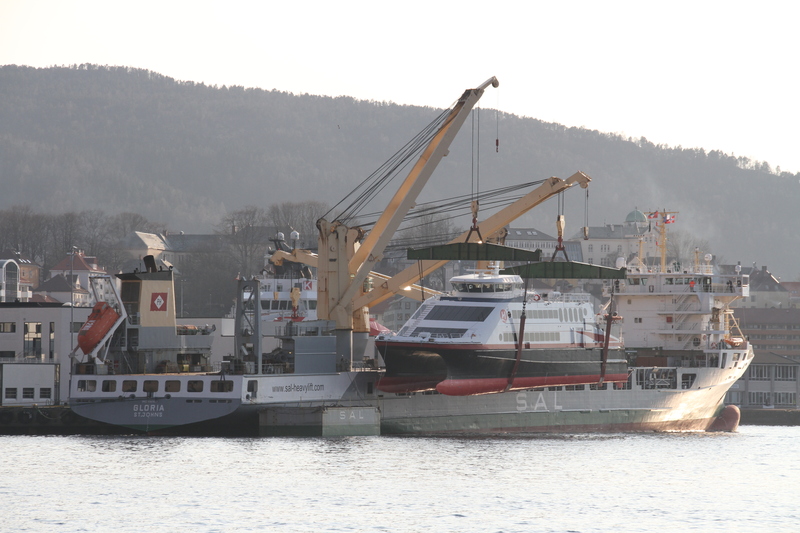 Birger Grieg A/S concluded yet another fixture for 2 x Catamarans: namely the “FJORDDRONNINGEN” and “FJORDKONGEN”, a “Flying Cat 46” type build at the Fjellstrand Shipyard. 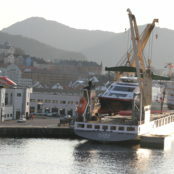 The two catamarans, was running a liner service in the northern part of Norway, between Harstad, Finnsnes and Tromsø up untill 2011. Alex. 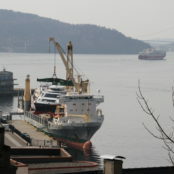 Birger Grieg A/S arranged for transportation onboard Heavy Lift Vessel “GLORIA”, performing the loading in Bergen Port. Alex. 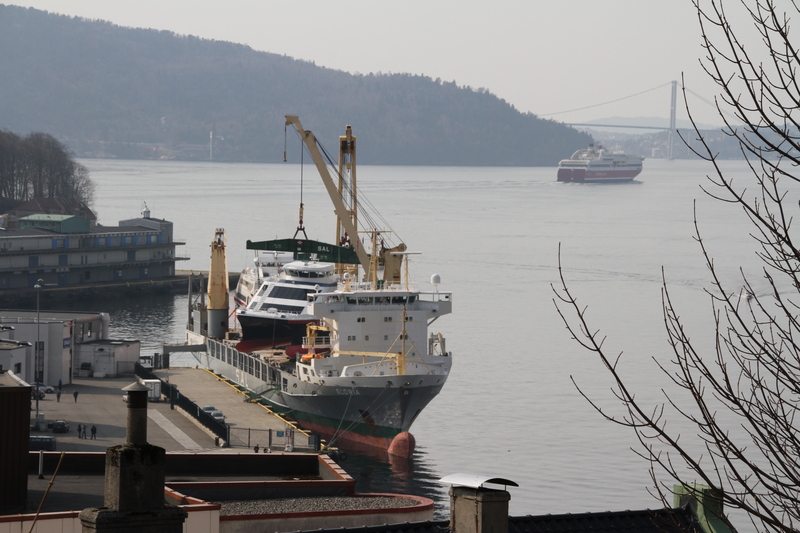 Birger Grieg A/S also acted as the ships agent while in Norway.